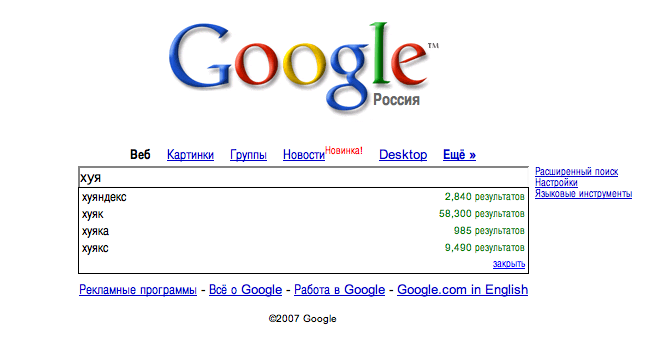 Launches all around: suggest on google.ru (featuring keyboard mixup fixes) and query refinement (see bottom of the results page). Not to mention localsearch. Surprising that habrhabr is still silent. Looks like they mostly translate news from Google OS, Google Blogoscoped and official blogs, so the local launches sometimes go unnoticed.